This book examines top public speakers' most successful speeches to see what makes them great. It offers detailed tips for improving public speaking skills for everyone, whether you're a beginner or have years of experience. 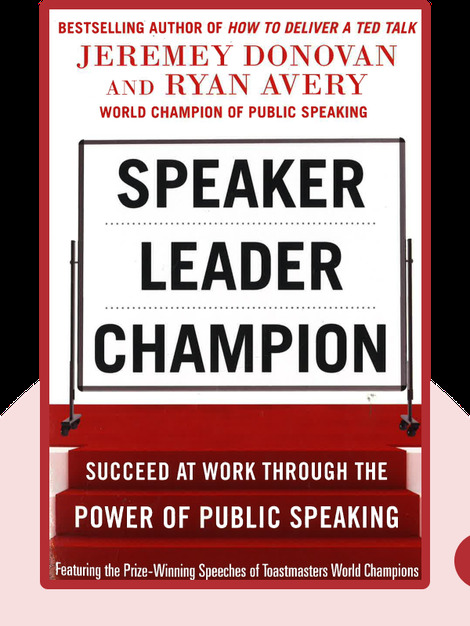 Ryan Avery is professional speaker and a former champion of the Toastmasters' Public Speaking World Championships. 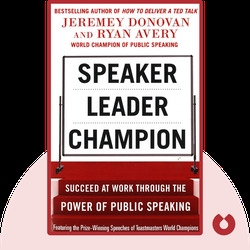 Jeremy Donovan is also a professional speaker, and the author of the bestselling book How to Deliver a TED Talk.